Many people choose to go fishing at night so they can target those amazing dock lights that are always full of fish. Well, here are a few techniques to help you land your catch of a lifetime the next time you go out! 1. When it comes to bait and lures, choose wisely. The key to fishing dock lights successfully is to match the bait or lure on your hook to the bait you see swimming around the light. The species will differ on your location, but more often then not, it will be tiny minnows. Sometimes, in high current areas, you’ll see some shrimp, but in most canal waterways, you’ll see small baitfish. Anglers who love live bait don’t usually have any problems with this approach. Simply throw out a cast net or two and head out to the dock lights when you’ve got enough little baitfish to fill your bait bucket! 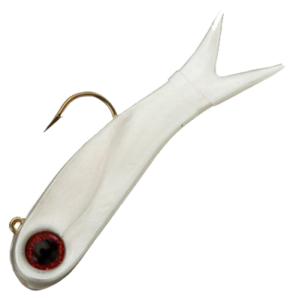 For those of you that are die-hard artificial lure fans, the DOA TerrorEyz lure is a great choice for fishing dock lights. Our favorite color variation is the Pearl color. 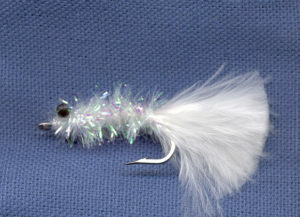 For our fly fishing friends, just try to take out a few different types of clear or white minnow patterns. These tend to blend in well with the other baitfish around. Below is an example of our two favorite flies for dock lights; the schminnow and the glass minnow. 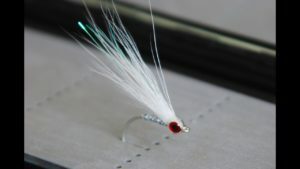 These two patterns are exceptionally easy to tie, if you’re the in-depth type of fly fisherman. We suggest going out with a handful of each of these patterns to ensure you don’t have worry if you lose any. 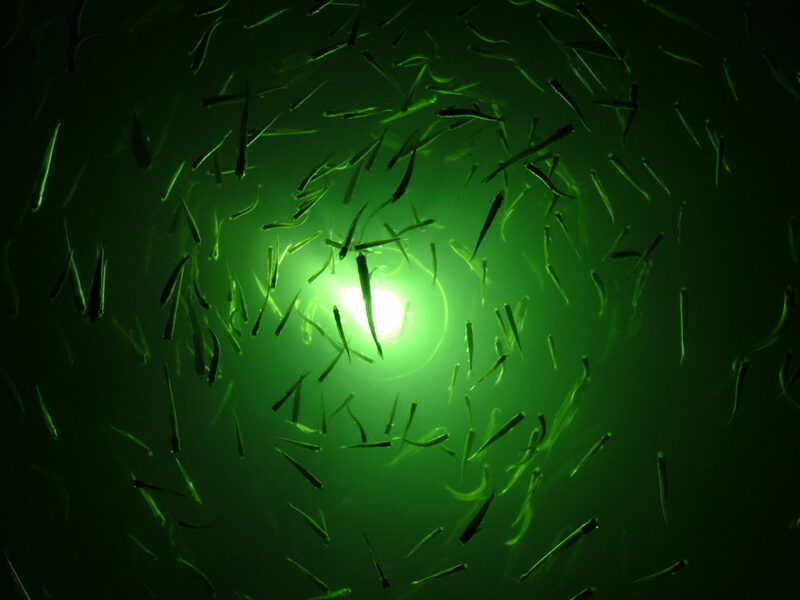 When you first pull up to a dock light, watch how the predator fish interact with the baitfish. Observe the patterns the baitfish swim in and how the predators interrupt those patterns for strikes. You don’t want to just start casting into the light with no plan. Learn what the real baitfish are doing, so you can go into a better plan regarding your casting and retrieving. By taking just a few minutes to monitor the situation, you’ll be able to learn how often the predators are striking (if at all), which baitfish they choose to strike, and how to recreate those moments yourself. After you’ve watched the marine behavior for a little while, try to mimic that behavior yourself with your lure or fly. by mimicking the look and behavior of the other baitfish as close as possible, the predators will have a more difficult time telling the difference. Most fly fishers know the importance of a natural presentation. 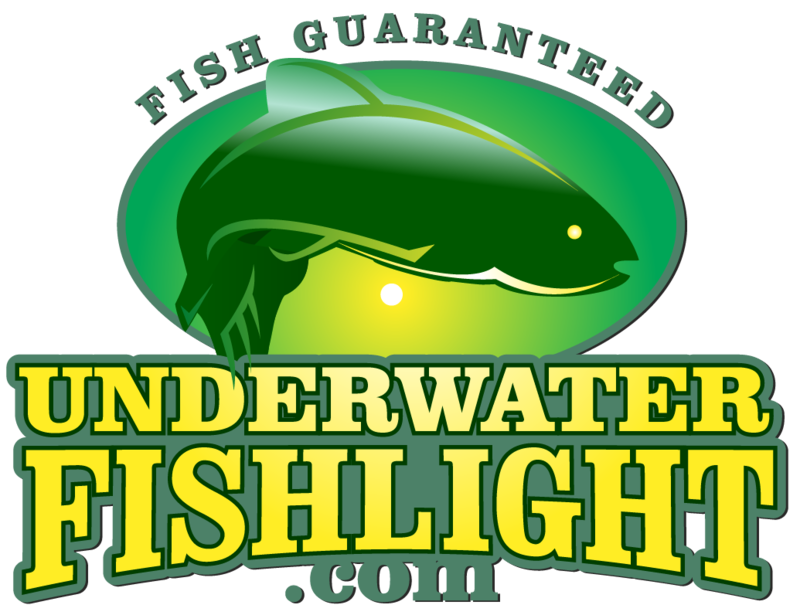 You don’t want to throw your fly or heavy lure directly into the middle of the light. That will just scare everything away. Try to cast out into the shadows past the light, then retrieve your hook through the dock light while matching the baitfish swimming patterns. When you finally hook a fish around a dock light, it seems like their favorite thing to is is go straight under the dock. It’s easy to get tangled and possibly lose your fish when this happens. So be ready to steer him out of the way right after the hook set! Don’t get discouraged if you lose a few. We’ve all fallen victim to a smart snook here and there. If you’re in a kayak or smaller vessel, try to anchor yourself at an angle where you can best steer the fish out towards the canal. 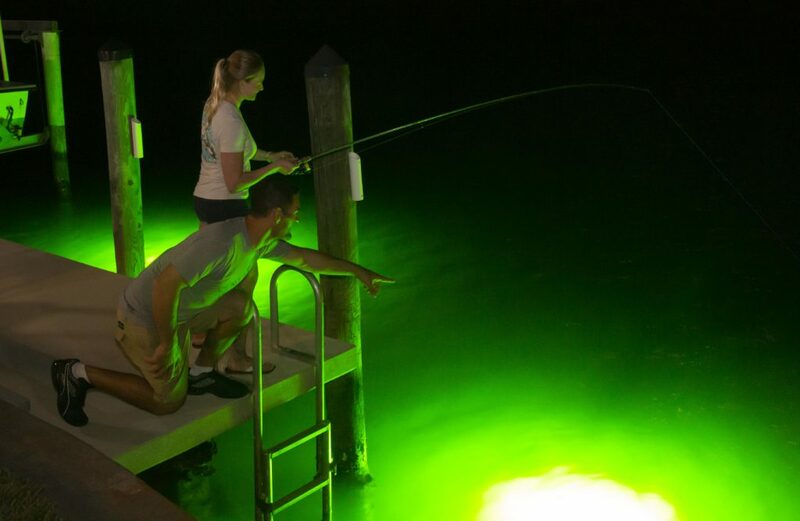 Dock lights are an amazing way to catch and view fish. Enjoy the night, and be safe while trying to reel in those big guys! This entry was posted in Underwater Fishlights.